Poznań is an unpredictable place for those seeking underground adventures. Due to its closeness to Berlin—just three hours away by car—the Polish city has absorbed much of the German capital’s club culture. This trend was xxacerbated once cheap return bus tickets between the two cities became a reality, at the expense of the local scene. Thankfully, Poznań’s energy was never totally eradicated, and a demand for more obscure local offerings has remained. Because of this, independent initiatives have been established to develop an underground that is ready to cast off past resentments and create its own worthy niche. We’ve compiled a guide to some of the most interesting constituents of that movement, from venues to artists and collectives who are fighting for the city to rage harder. Karolina Karnacewicz, aka DJ Morgiana, is the strongest example of the non-patriarchal approach to electronic music in Poznań. She’s known for hybrid live/DJ sets that involve turntables, self-made instruments and odd items like organic crystals and plants. Karolina was one of the Polish artists featured at this year’s Unsound Festival in Kraków, and is currently working on special material for the Blackest Ever Black label. The first edition of her new project, Sound Emancipation, is motivated by the lack of real change concerning gender equality in the music industry, and aims to teach girls and women how to produce and compose. 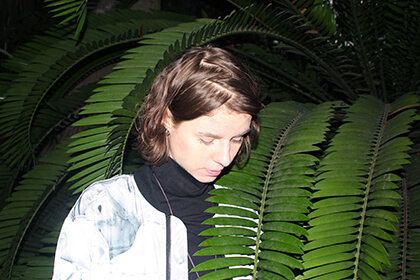 Alongside Piotr Tkacz, she also co-hosts the za duszno parties, which is a series of unconventional evenings that book anything from ambient to weird electronics, which we included in our list of our favorite parties in Eastern Europe. 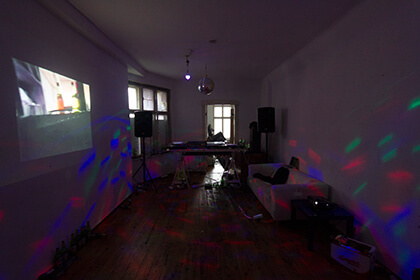 Karolina and Piotr organized the first za duszno party back in 2013 at Rozbrat, Poland’s oldest squat and an important location on the country’s counter-cultural map. 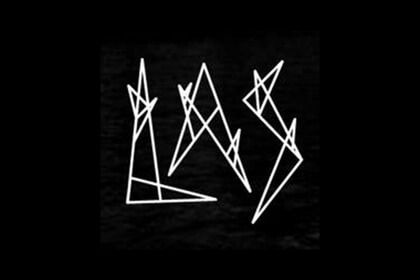 LAS is the only bigger alternative to Poznań’s mainstream clubs. It’s brought fresh energy to the local nightlife with eclectic and well-considered programming for parties and experimental gigs. The vibes are enhanced by it peculiar wooden decor, which fits the club’s name, as “las” means “forest” in Polish. It’s a must-go for anyone seeking challenging evening entertainment. 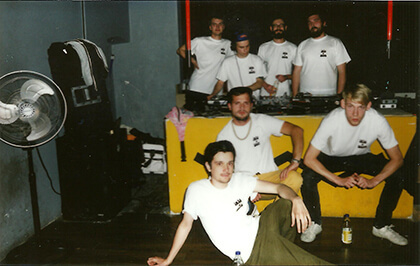 ISA are a DJ collective with nine members, all of whom are involved in multiple projects across Poland. It all began at Kisielice, once a very important underground nightlife spot in Poznań that has since closed. Nowadays, I’M SO ADDICTED moves from one spot to another to produce parties with their own designs, visuals and splendid DJ sets. The members include Wojtek Grynko (aka Selvy), visual artists Michał Loba and Mikołaj Ludwik, Soul Asylum co-boss Józef Buchnajzer, who releases ambient and experimental tapes from around the region and produces himself as Disordered, as well as producers Adam Brocki (aka Matat Professionals), Michał Ratajczak (Michu Ratajczak) and Wojtek Gawroński (Freux). 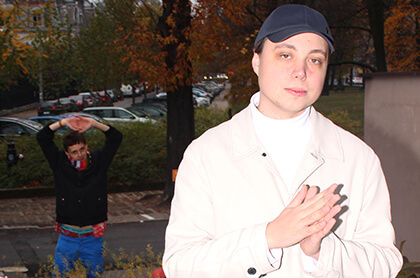 These brothers have had a huge influence on Poznań’s scene with their collaborative work and solo projects. Piotr popularises not-well-known-enough music via festivals and workshops focused on musical improvisation, he invites unclassifiable artists to perform at local venues, plays in multiple bands, DJs as 2 Lewe Ręce (2 Left Hands), and organizes the za duszno series with DJ Morgiana. 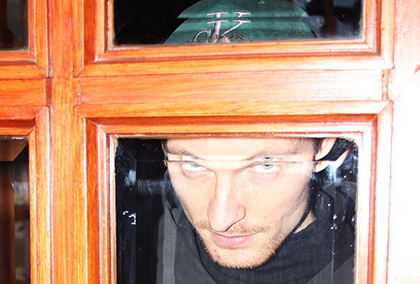 Mikołaj is an audio and visual artist who mixes different media into his work. He’s a comic book painter and video artist, makes music under the alias WSZYSTKO (which means “everything” in English), and finds beauty in parts of the internet that no-one else cares about. He recently co-founded a label called Magia, where he releases music inspired by experimental footwork, house and internet esoterics. He calls Magia’s music “post-dance” because it doesn’t immediately make you want to move—but you will anyway. Anarchist vibes run strong through Poznań, and Zemsta (which means “revenge”) is evidence of that spirit. 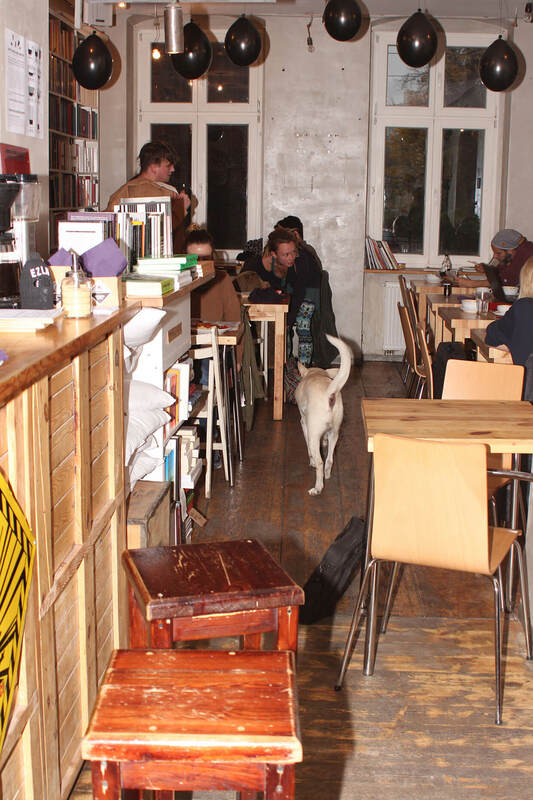 It’s a bookstore, gallery and vegan café that organises art house movie screenings, ambient concerts, exhibitions and author talks, and has connections to the Rozbrat squat. Everything is done in the spirit of self-organisation and anti-capitalism. It provides a great example of anarchist culture reaching the rest of society by offering great food, a cool atmosphere and very well-curated cultural events in the middle of town. Pets are welcome. Oficyna is an independent gallery founded by Kuba Borkowicz, an intermedia student from Poznań’s Academy Of Fine Arts. Although it’s his studio, Kuba invites other artists to exhibit and perform there. 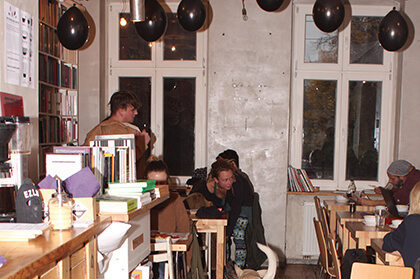 Situated in a gloomy but charming altbau in one of the oldest districts, Wilda, Oficyna is the city’s best DIY achievement because it allows young creatives to show their work, and thus proves that the underground still matters. Zaumne is probably the most underappreciated person, place or thing mentioned in this guide. He is a member of the Magia label stable and creates what he calls “emo dub,” which is heavily inspired by his obscure web finds. The word “Zaum” comes from the futurological idea of creating a language that releases words from traditional meaning. As a producer Zaumne reproduces this idea by using YouTube oddities to compose complex rhythms and patterns. WPCK is a wine bar with an extreme spirit. 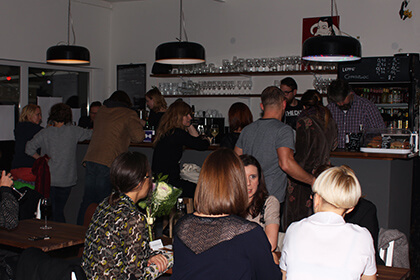 Founded in 2001 by Marcin and Dorota Kubiak, it unites locals from around the Grunwald district and hosts concerts and readings that aren’t exactly what one would expect from a wine bar. With a radical approach to what the city is and should be (especially in Poznań), WPCK organizes events like outdoor screenings of films about local history and the way the city has changed. They also invite researchers and reporters to talk about urban topics. It’s one of a few places with this kind of approach, and it’s a nice bar with a great but not-too-extravagant choice of wines to boot. Forget vegan brunch—the real food revolution has already come to Poznań. Milk bars are so natural to Polish people that no one realizes how essential these retro bars with gluten-filled Polish dishes really are. 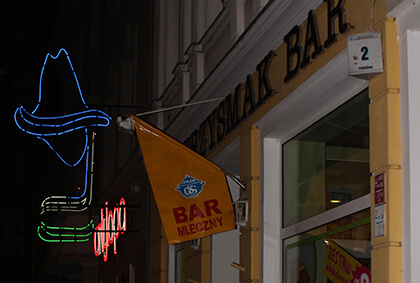 You can hang out at a bar like Przysmak for hours eating cheap Polish cuisine and meeting proud Poznaniak regulars. Przysmak has two floors and is located in the city center, so it’s got a nice view. Try the pancakes with raspberry sauce. These three venues are located in the old market area and represent the Polish tradition of club-cafés, which are more like pubs, and have played an integral role in the city’s nightlife for years. Pies Andaluzyjski is the newest and freshest such place. No one knows for sure how many rooms Dragon has, as it’s easy to get lost in there. More advanced hide-and-seek fans should check out the imperial castle a few streets away. Mescaline is a good place to visit on December 26, if only to feel like everyone else is already there and waiting for you to appear. If you happen to visit at another time of year, fear not; they’ll be there anyway.